Green finance, enhancing synergies towards climate action and sustainable development on the ground, stakeholder engagement and gender mainstreaming were some of the topics covered in the GEF Extended Constituency Workshops organized by the secretariat of the Global Envrironment Facility(GEF). In partnership with the GEF, the UNDP implemented Small Grants Programme (SGP) has been sharing its results and experience at the last two workshops for the Eastern Europe and South American constituencies which took place from March 6-9 in Lviv, Ukraine and from March 14-17 in Brasilia, Brazil, respectively. In the context of these workshops, the Small Grants Programme held a session to present and discuss the strategic initiatives it is planning for its seventh operational phase. These sessions started with an overview presentation delivered by Ms. Inessa Galitschi, National Coordinator of SGP in Moldova and Ms. Svitlana Nigorodova, National Coordinator of SGP in Ukraine, as well as by Angelica Shamerina, regional focal point for Latin America and Isabel Figueredo, National Coordinator of SGP in Brazil on the results of the programme in the different countries of the regions, followed by a presentation and consultation of SGP’s strategic directions for GEF-7. These events counted with the participation of political and operational focal points and representatives of civil society organizations from the Eastern Europe and South America region. Some of the recommendations emerging from the consultations are the importance of continuing to improve the capacity building and networking skills of civil society organizations, and to strengthen their role and participation in the development and implementation of full-sized projects. 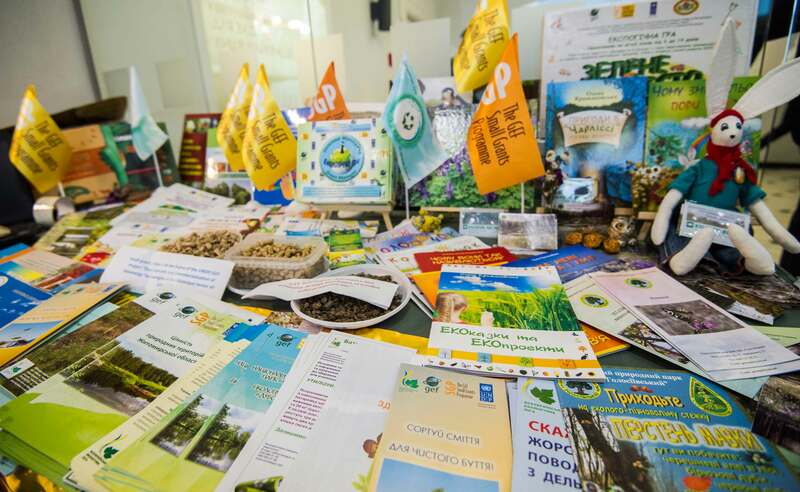 In addition to the consultation, SGP Ukraine organized a marketplace where 10 Ukranian civil society organizations, supported by SGP, were able to exhibit and present the projects, promote tried and tested practices, and share information and knowledge among each other and with government oficial and GEF agencies. 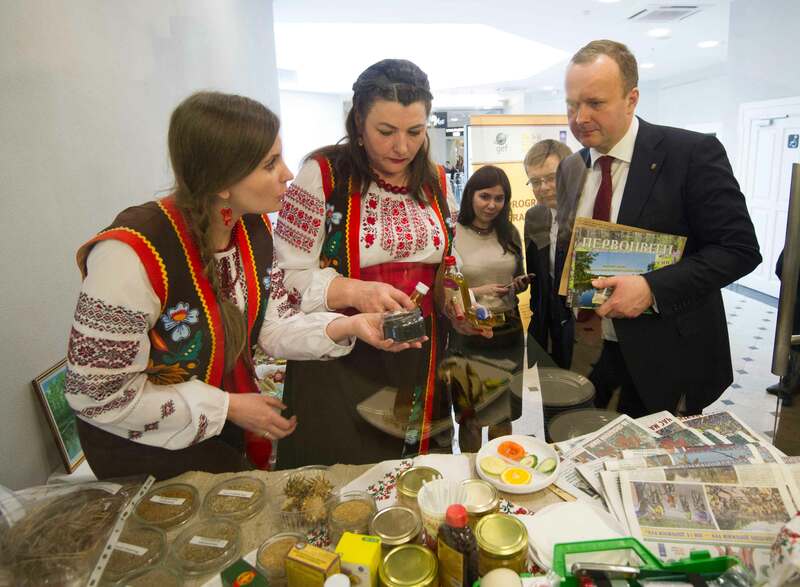 During the market place, SGP grantees also presented Ukrainian traditions, local practices, products and even folk songs performances. 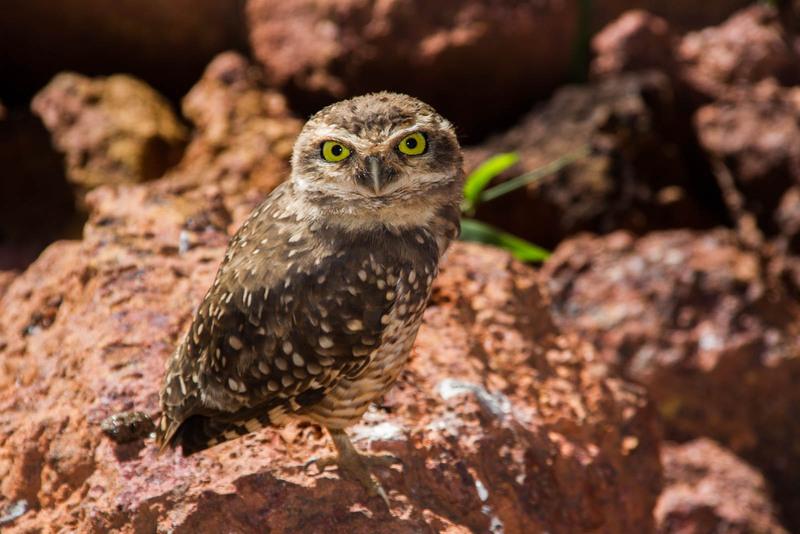 The experience regarding best practices and sustainable results on the ground was also on display in various screens that featured documentary videos and slide shows of SGP projects, along with other publications, manuals and reports. 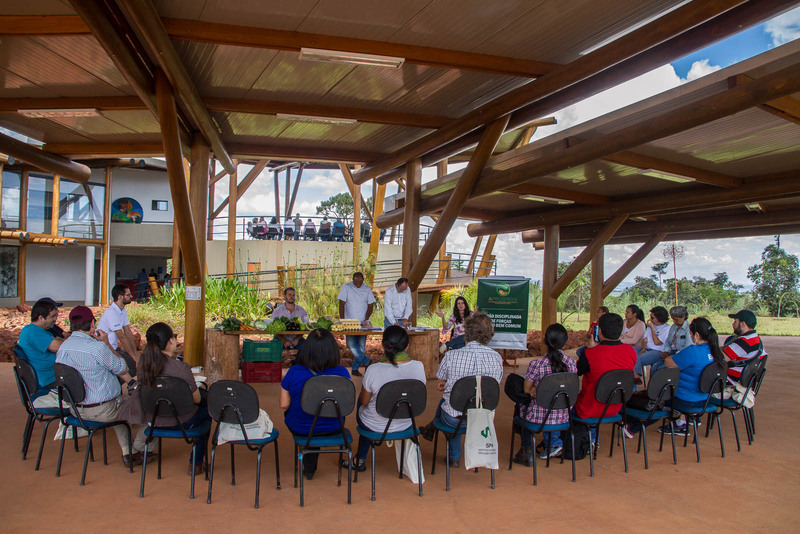 Similarly, for the Knowledge Day, SGP Brazil organized learning stations about three projects supported by SGP in the Cerrado biome and a walk through the Botanical Garden of Brasilia that allowed the participants to appreciate the rich biodiversity of the country enjoy a snack prepared with many of the ingredients present in this biome, such as pequi, buriti, araticum, baru, coquinho-azedo and others. SGP shared the experience of the Cerrado Central Cooperative and its role in supporting 30 organizations to market their products, the work of the Association APROSPERA and their new model of relationship between farmer and consumer through Community Supported Agriculture, as well as the work of the Interstate Movement of Coco Babassu Crackers (MIQCB),who represent 400,000 women who are part of the movement. 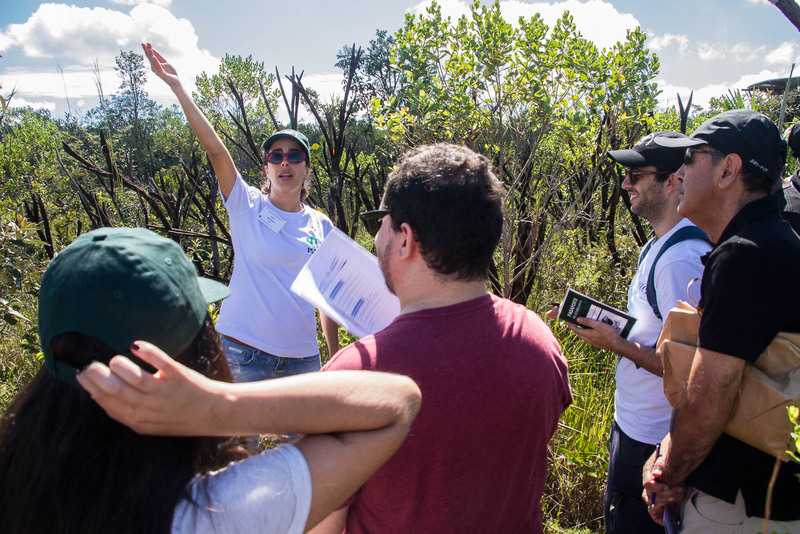 Participants of the GEF ECW for South America at the Knowledge Day organized in partnership with SGP Brazil, SGP Brazil is hosted by the Instituto Sociedade População e Natureza, who supported the oragnization of this activity.